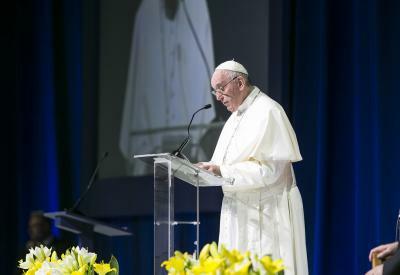 Below is an excerpt from an address Pope Francis gave to the Delegation of the International Commission Against the Death Penalty on December 17, 2018. Exodus 16:2-4, 12-15 I will rain down bread from heaven for you. Psalm 78:3-4, 23-24, 25, 54 The Lord gave them bread from heaven.